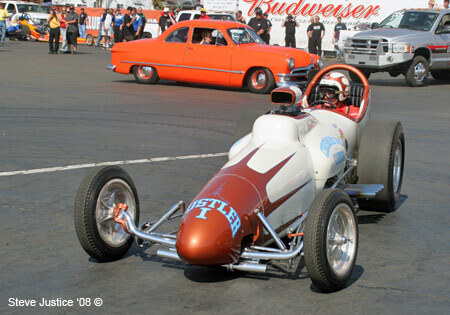 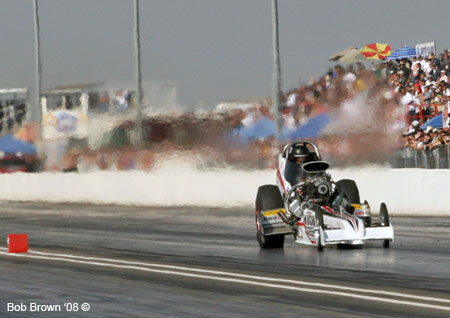 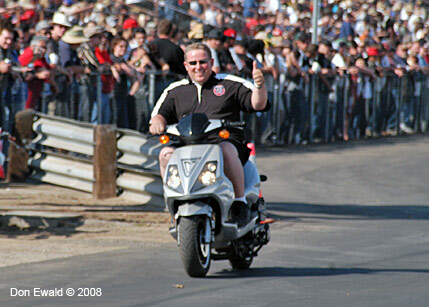 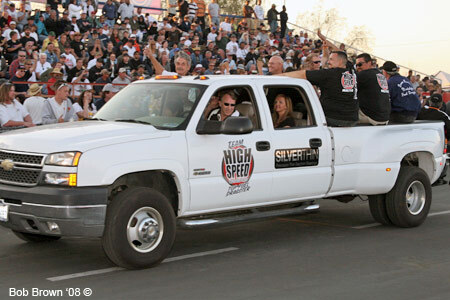 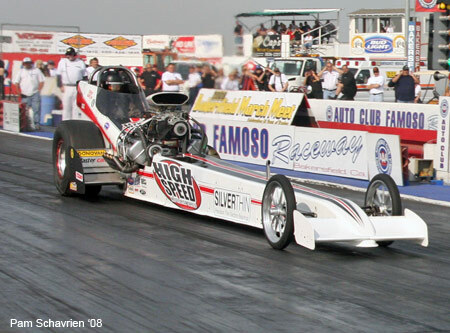 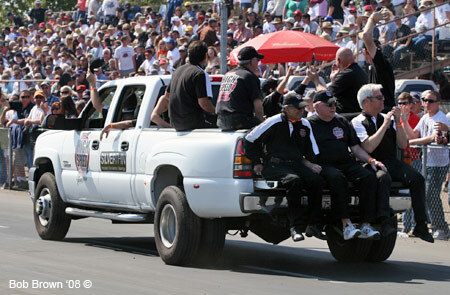 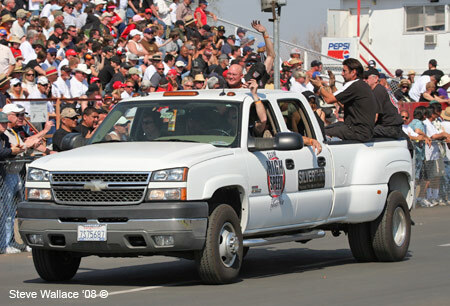 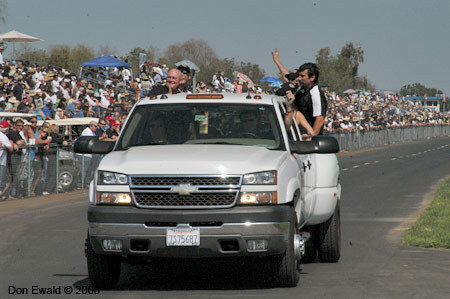 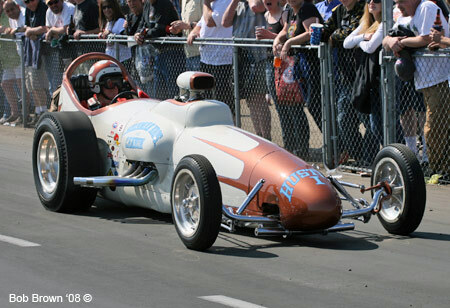 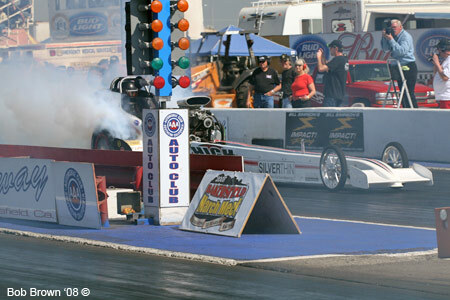 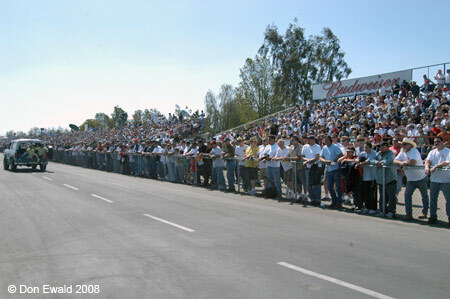 Bakersfield, CA - March 07-09, 2008: The 50th anniversary of the March Meet will go down in drag racing history as one of the best events ever. 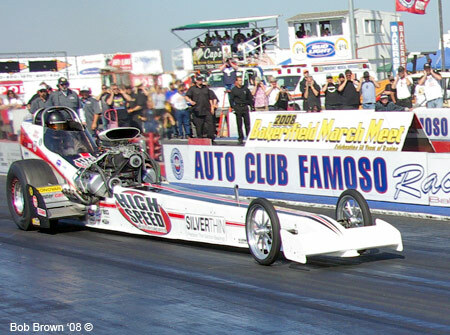 Under four days of Chamber of Commerce skies, the largest car count/spectator attendance in history filled the hallowed Famoso Dragstrip grounds for the event that lived up to its star billing in spades. 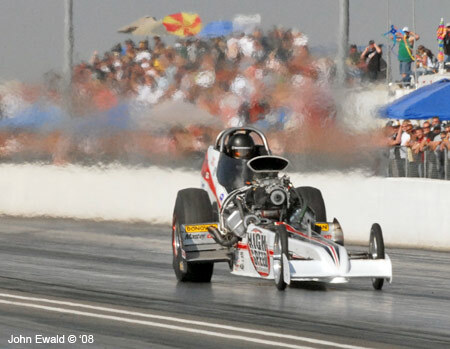 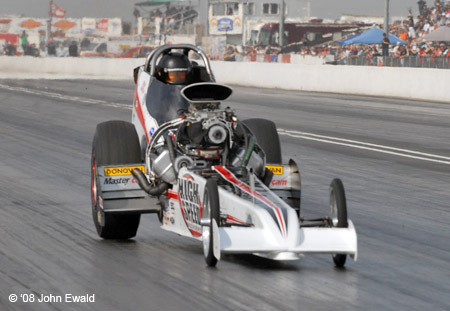 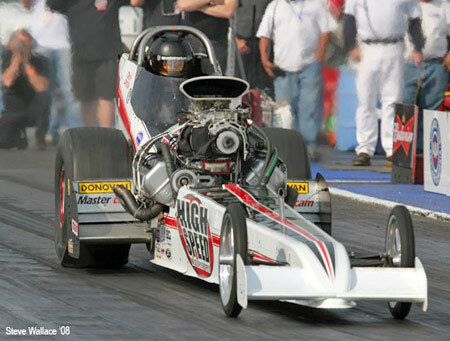 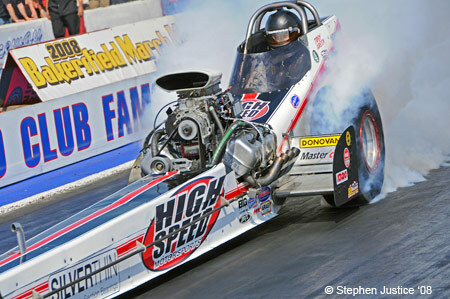 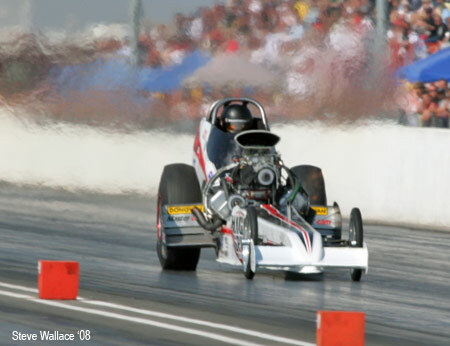 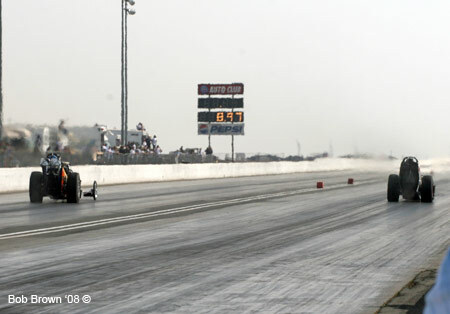 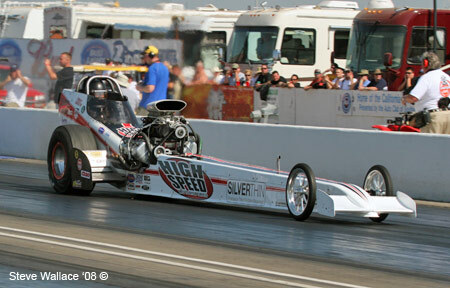 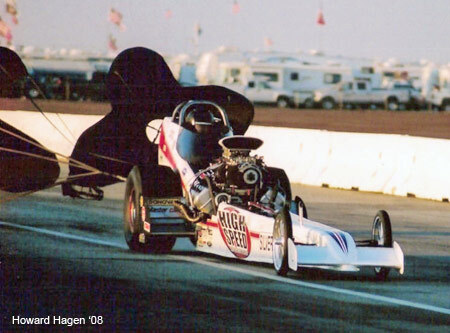 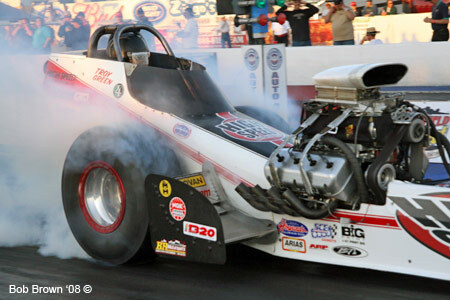 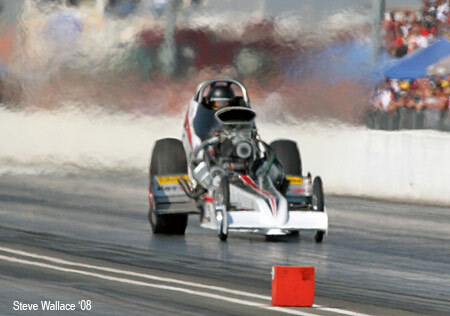 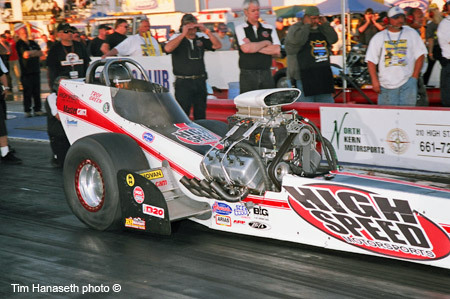 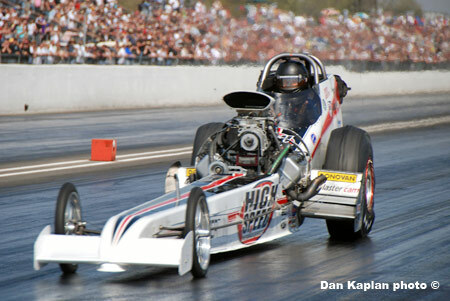 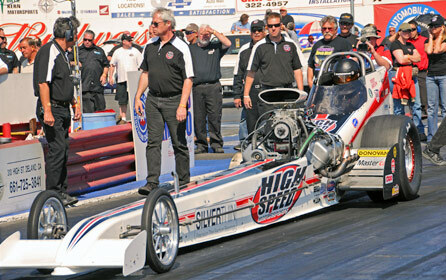 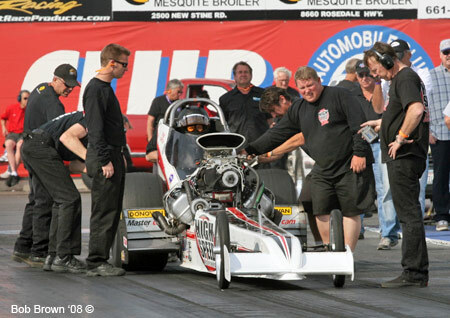 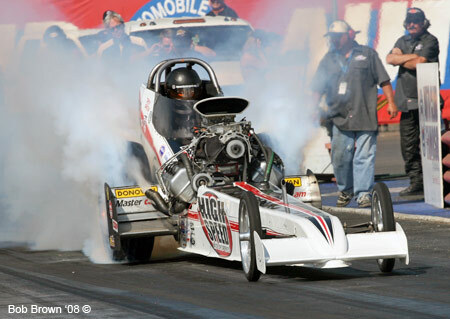 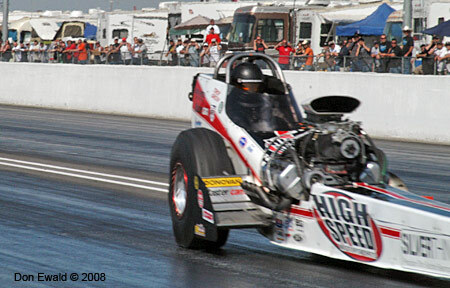 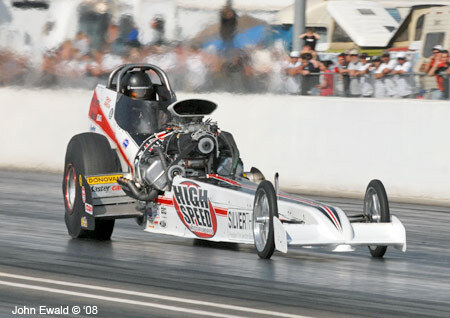 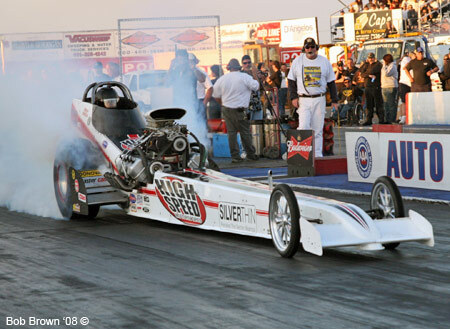 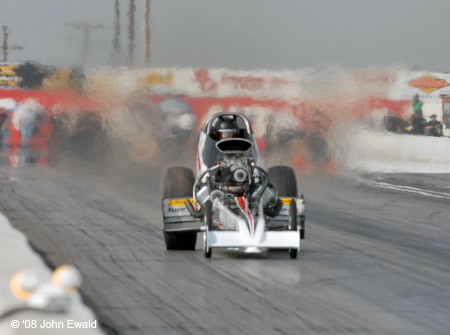 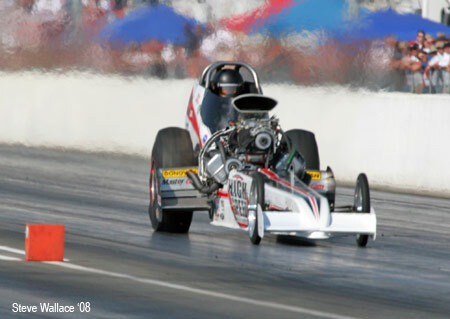 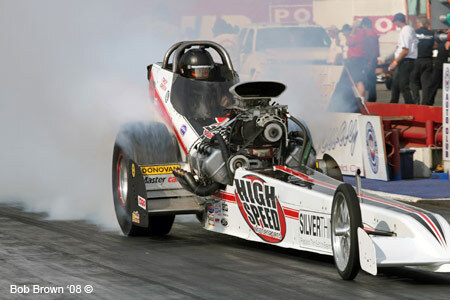 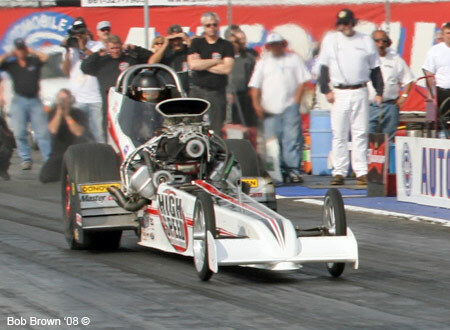 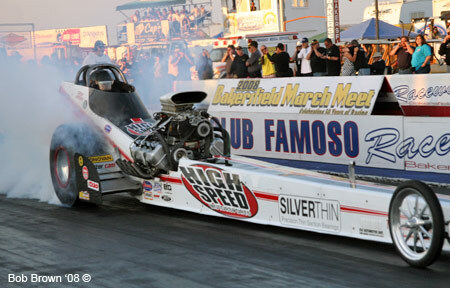 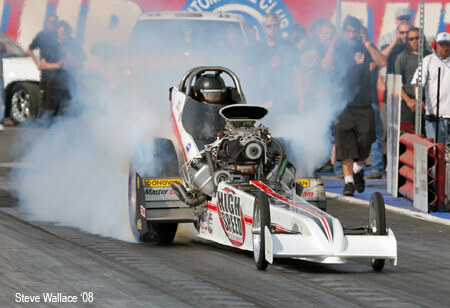 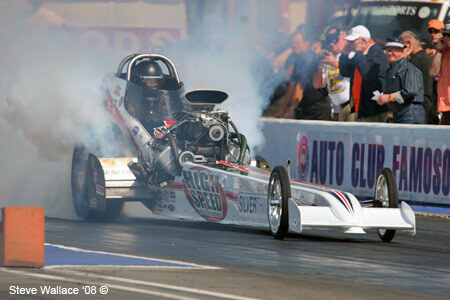 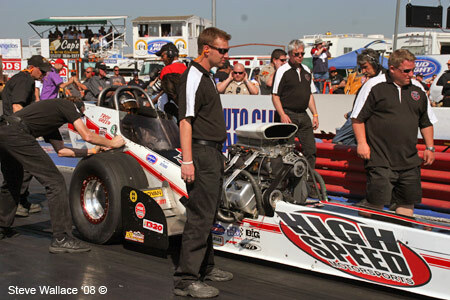 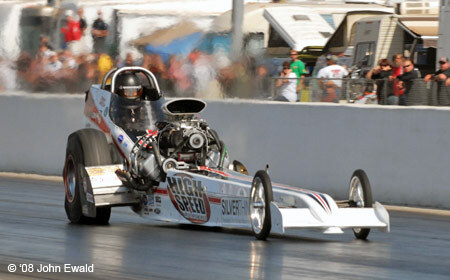 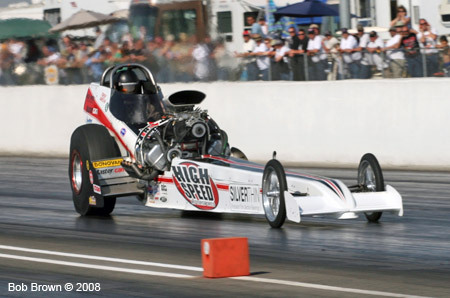 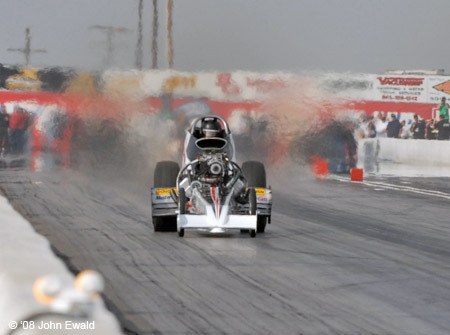 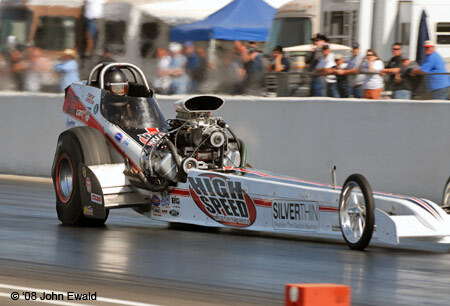 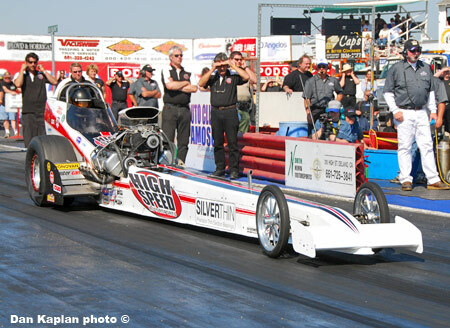 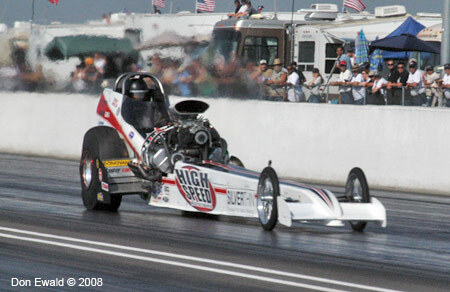 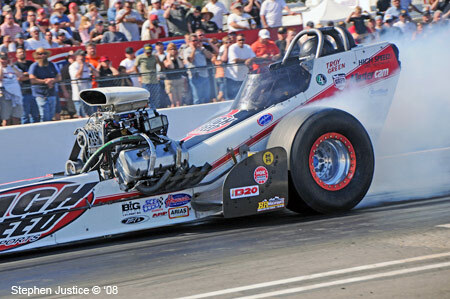 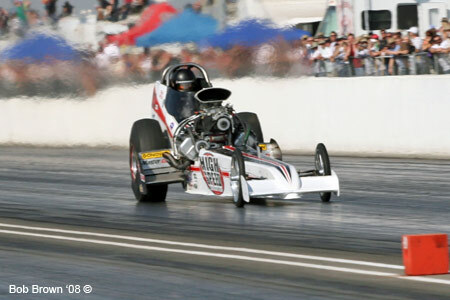 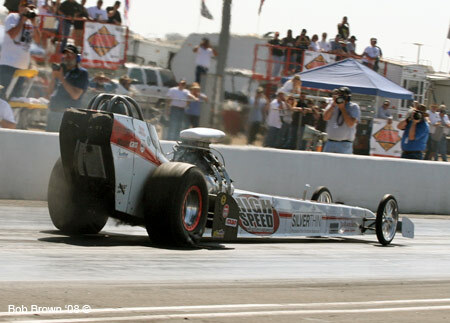 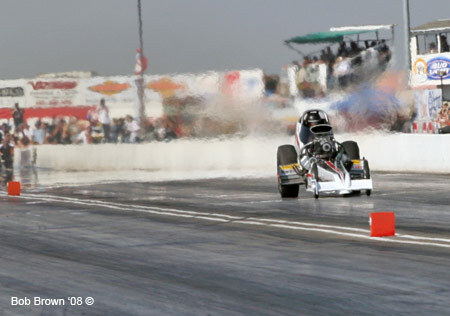 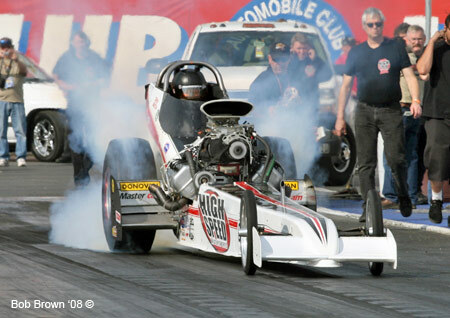 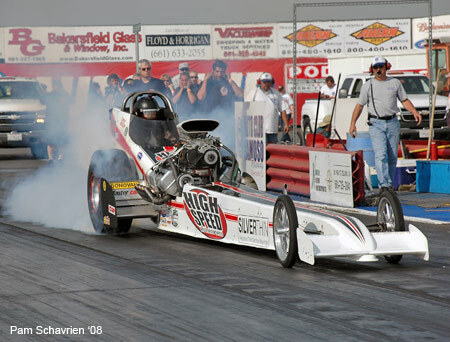 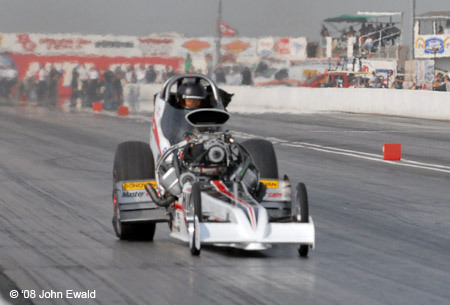 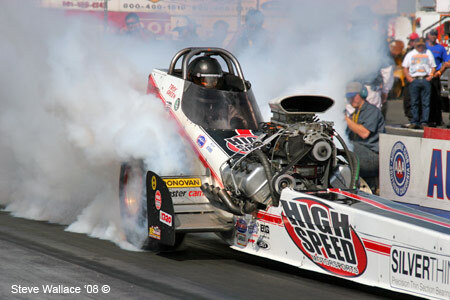 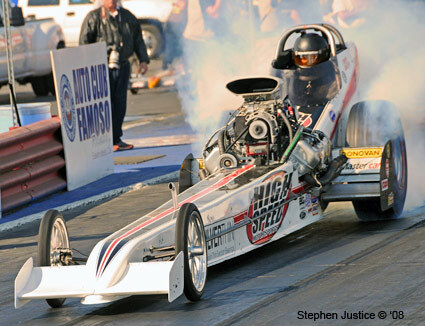 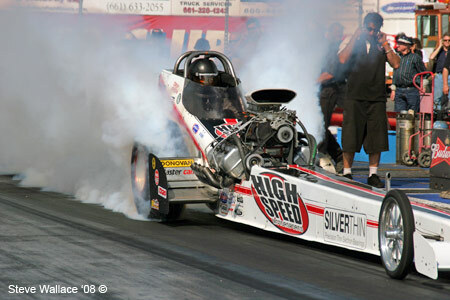 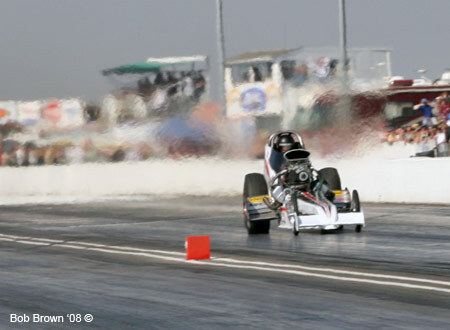 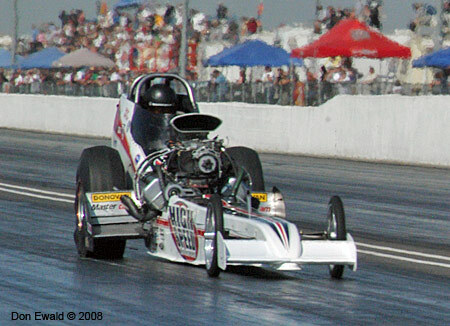 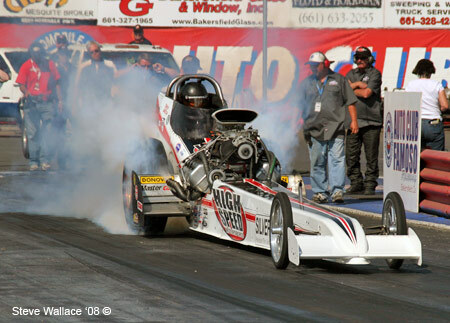 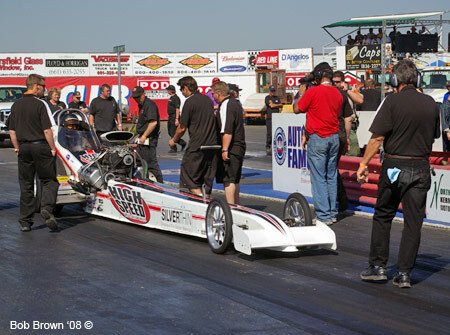 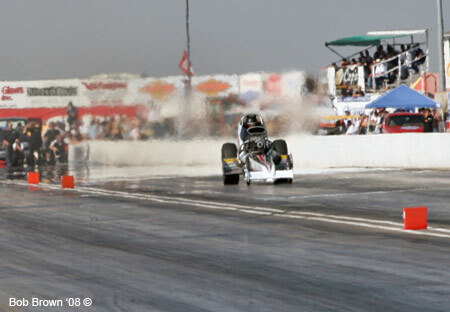 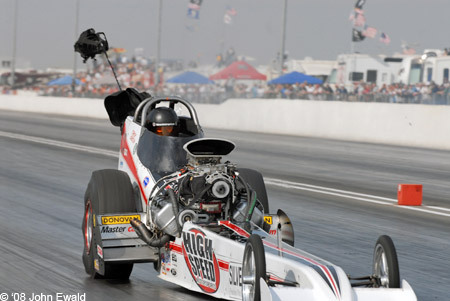 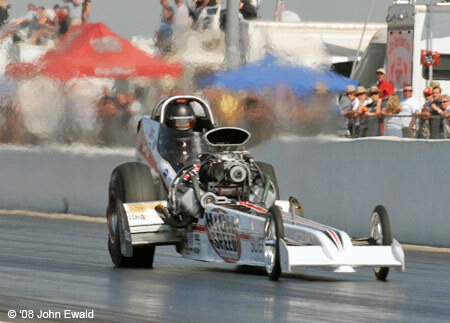 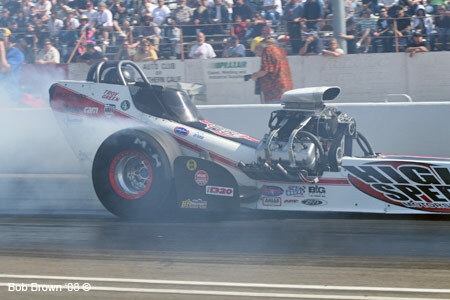 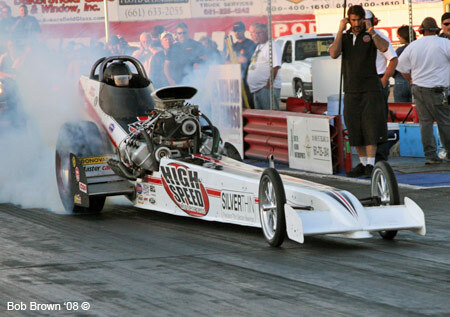 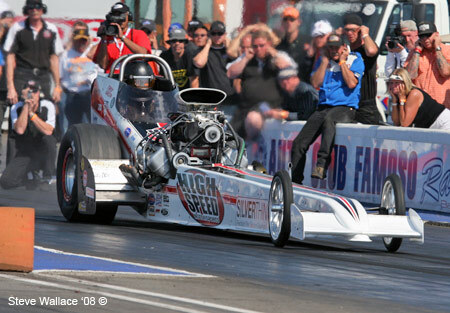 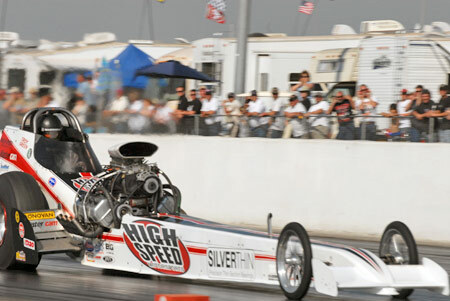 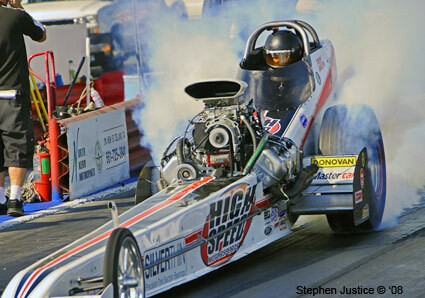 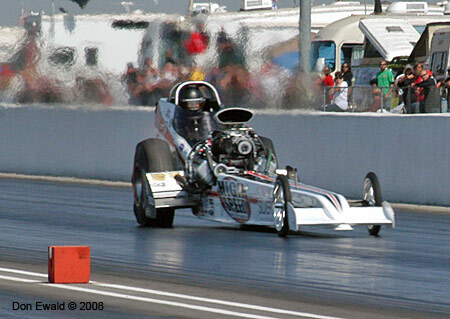 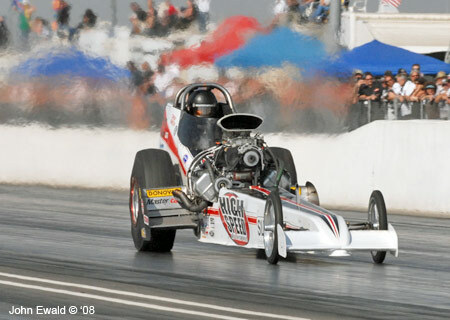 Joining 23 other Top Fuel dragsters was the High Speed Motorsports/SilverThin Bearings fueler driven by Troy Green who went into the weekend feeling optimistic that the inconsistent performance the car experienced in 2007 was cured over the winter. 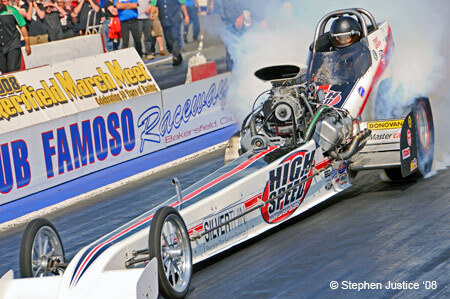 His optimism was not misplaced as Crew Chief Brett Johansen along with Tom Shelar and the rest of the established HSMS crew ran the three best times ever with the car while keeping parts damage to a minimum. 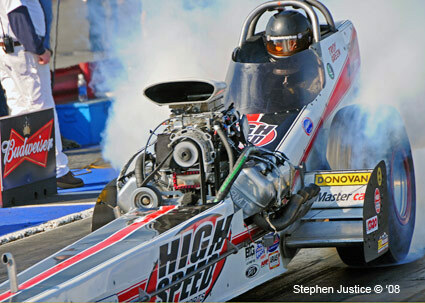 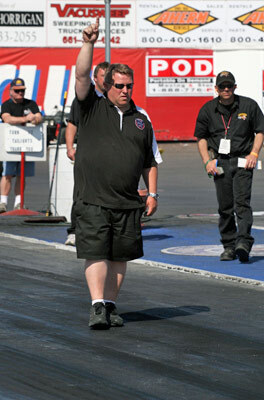 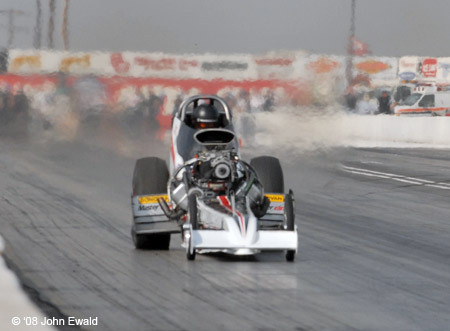 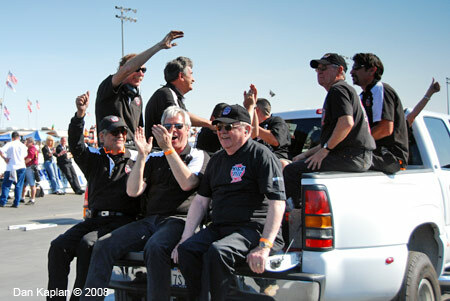 Aside from the unforeseen and grievous loss of Top Fuel veteran John Shoemaker, the 2008 March Meet was a huge success and large step forward for the team who now have the confidence that they can be major players in the newly established 2008 NHRA Hot Rod Heritage Series points race. 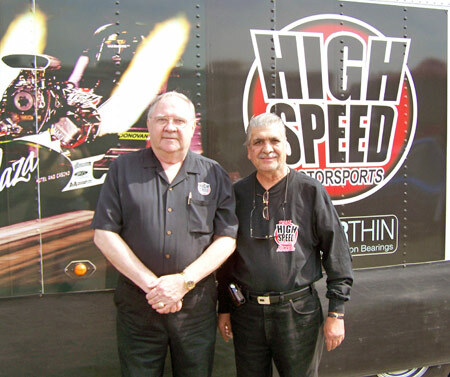 For High Speed Motorsports CEO Dale Singh the weekend opened by introducing Ralf M. Miller from San Antonio, Texas - the newest member of the team. 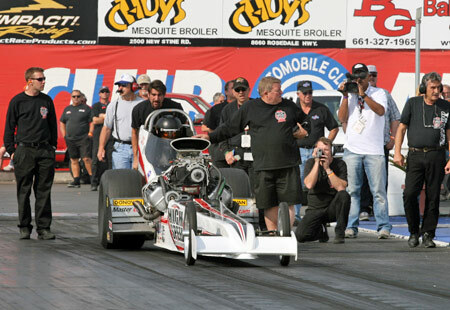 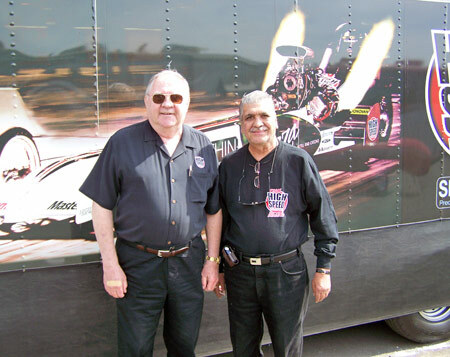 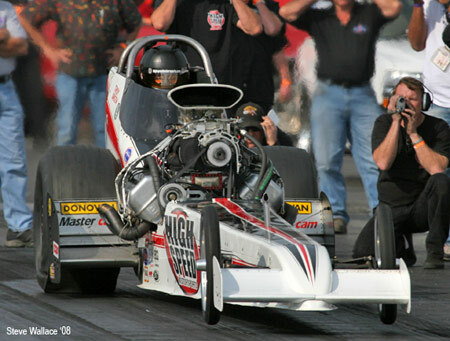 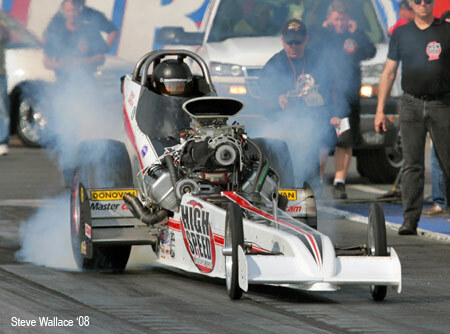 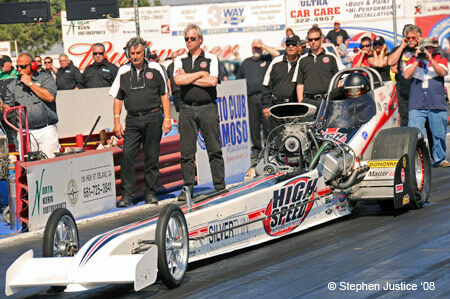 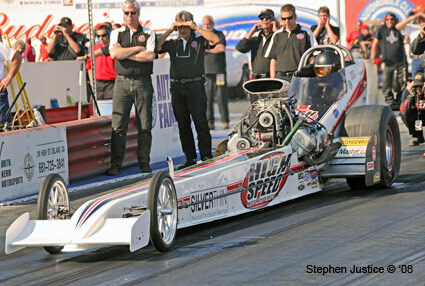 While Singh was introducing Miller to top fuel drag racing, the crew was chomping at the bit to get qualifying underway. 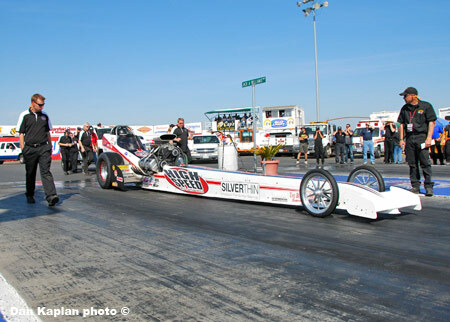 Under sunny skies and ideal track conditions the first session of Top Fuel qualifying went off as scheduled at 2:00 p.m. Friday afternoon. 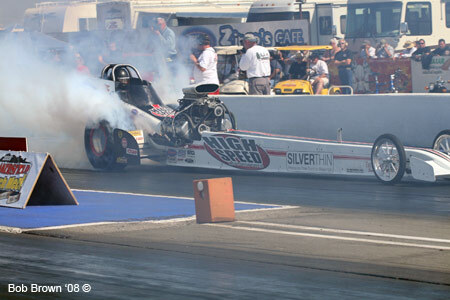 In the car for his second full season, Troy Green paired with Bill Dunlap starts his first burnout of the weekend. 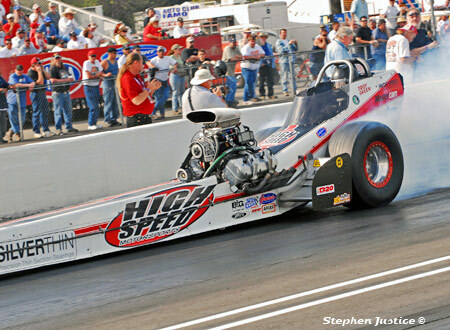 As he's done for the last 6 years, Walt Stevens guides the HSMS car back from its burnout. 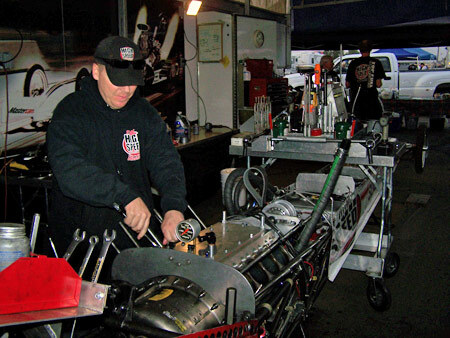 Brett Johansen makes his final tweaks to the fuel system before sending Green into the staging beams. 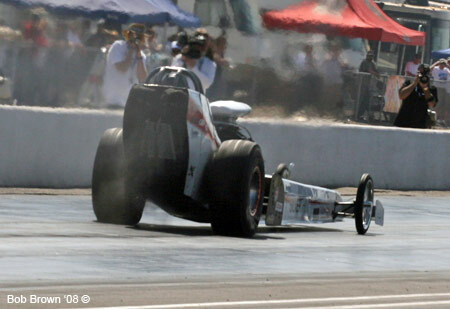 The car yanked the front wheels at the hit and reeled in a decent 60 foot time. 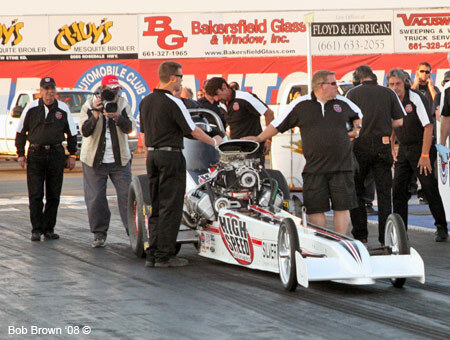 Nice and clean - a 5.886 at 223.60 (shut off early) was a sweet baseline pass for the team to work from. 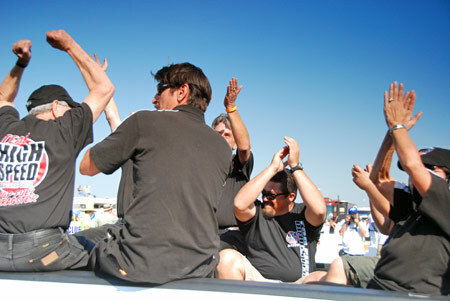 Yea, we'll take that one! 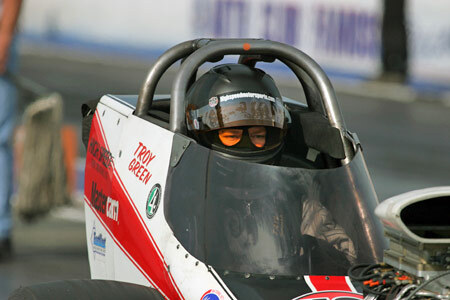 Troy Green - he drives - he wrenches - he makes lunch... no, Arlene does that. 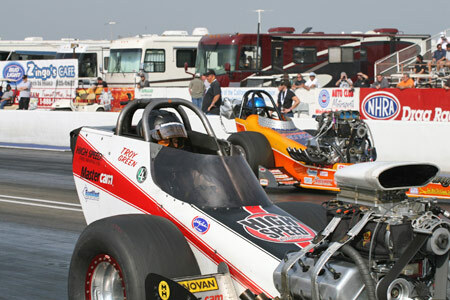 12:41 p.m. Saturday afternoon: More sunny skies and ideal track conditions set the stage for the second session of Top Fuel qualifying. 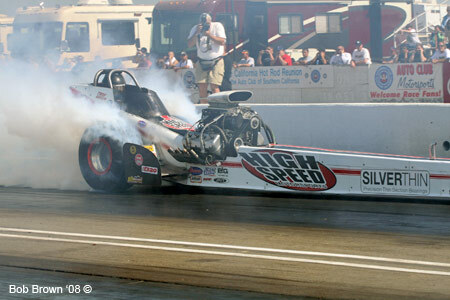 Once again paired with Bill Dunlap, Green starts his burnout for session two. 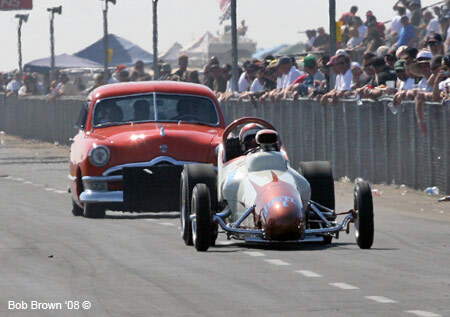 From the hit this had stout run written all over it. 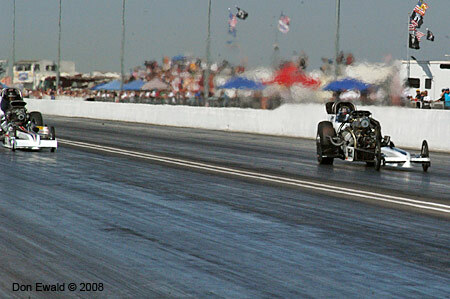 The run was every bit as good as it looked. 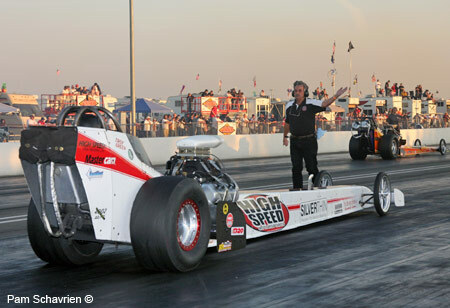 Green stopped the clocks with a career best (also best for the car) 5.767 at 258.47 which planted him firmly in the #2 spot right behind Brad Thompson. 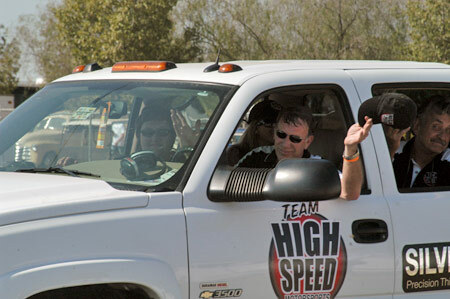 Crew Chief Brett Johansen followed by the crew were happy to say the least. 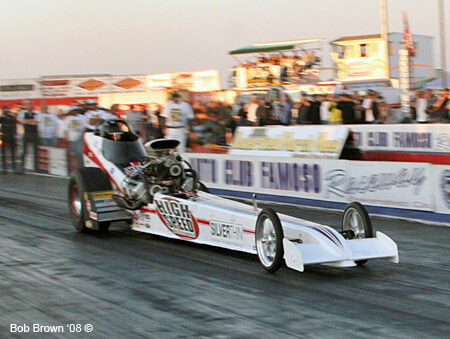 5:19 p.m Saturday afternoon: With the sun beginning to set, the third and final session of Top Fuel qualifying was underway. 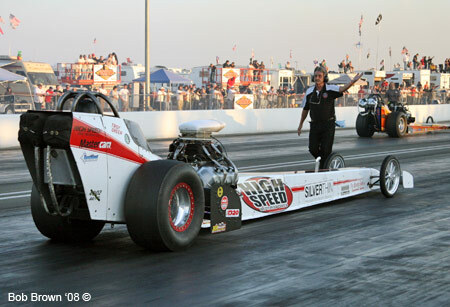 Ironically Green was paired for the third time in qualifying with Dunlap. 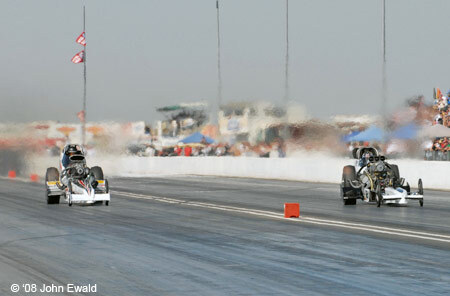 Walt Stevens guides Green back in his tracks to the line. 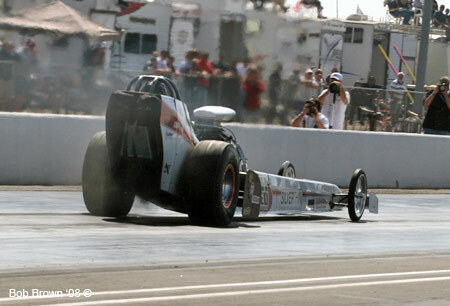 Johansen watches Dunlap's progress so he knows when to send the car up to the staging lights. 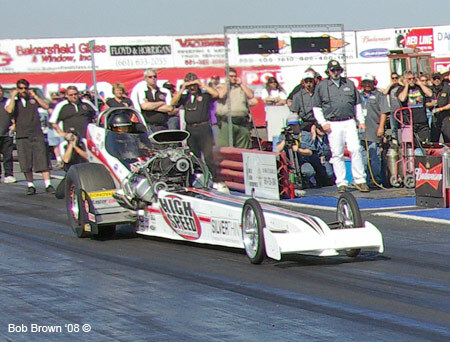 Dunlap had trouble staging so Green was given a single run and once again the HSMS car (aka Great White) left with authority. 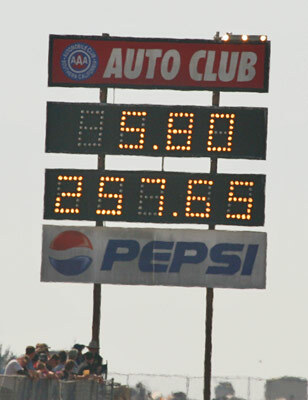 The team was on a serious roll... Green carded another stellar time - 5.783 at 252.38. 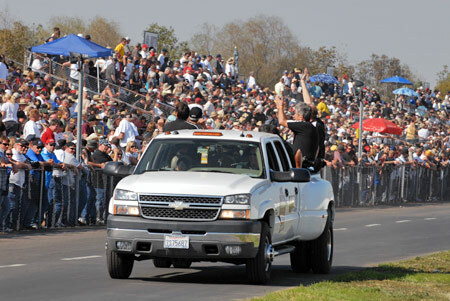 Eliminations officially got under way at 11:30 a.m. with several award ceremonies. 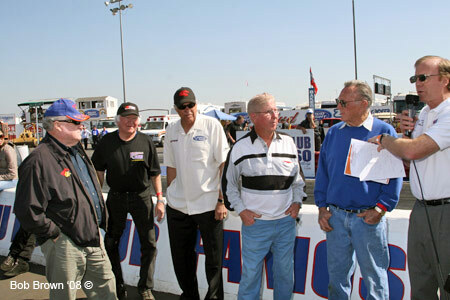 Above Mike English introduces Tom McEwen, Tony Waters, Don Prudhomme, Don Hampton and winner of the very first March Meet in 1959, Art Chrisman. 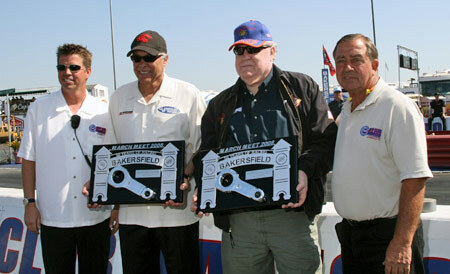 Track managers Blake and John Bowser flank the Grand Marshal's Don Prudhomme and Tom McEwen. 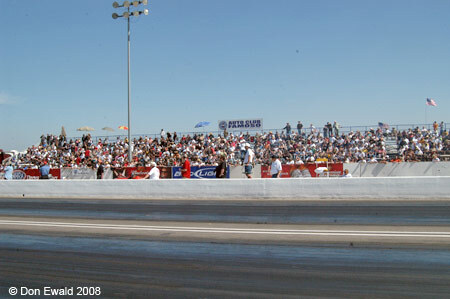 The fans filled the stands for a full day of racing. 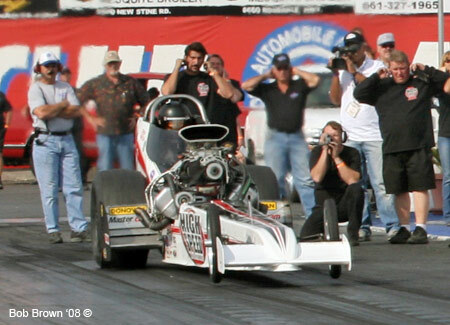 With the first pair of Top Fuel cars sitting behind the water box ready to fire, Art Chrisman did a push start from the top end. 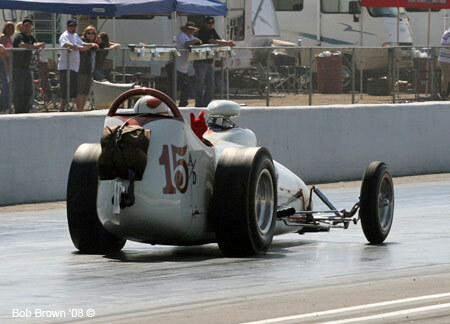 Chrisman then drove the length of the track... a fitting tribute to a great racer and excellent way to start the day. 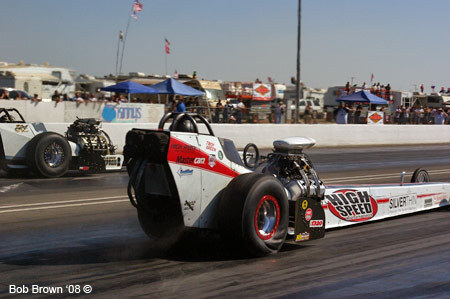 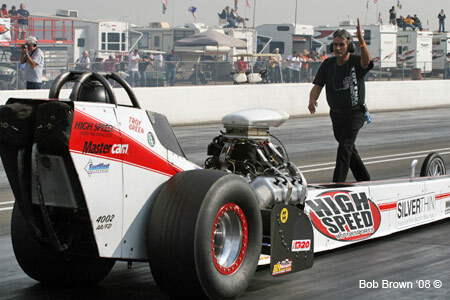 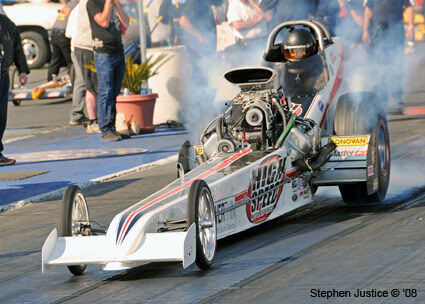 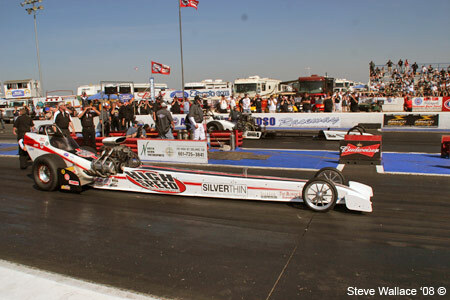 Right on time, after the playing of our National Anthem, the first pair of Top Fuel cars fired up at high noon. 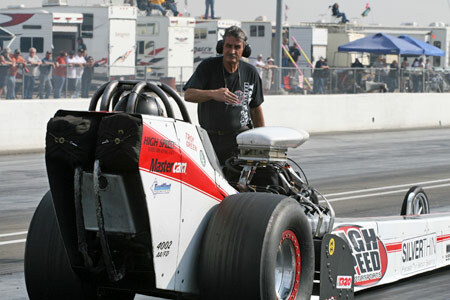 The third pair out pitted #2 qualifier Troy Green with #15 qualifier Jim Murphy. 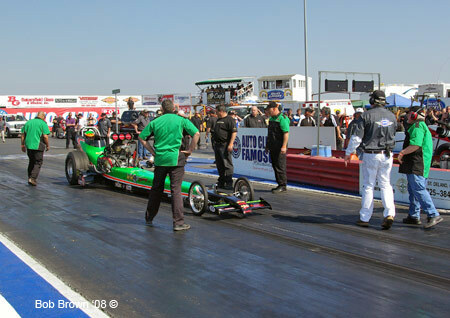 Green, ready to go is about to get the signal the he would be flying solo as Murphy was being shut off in the other lane with a minor oil leak. 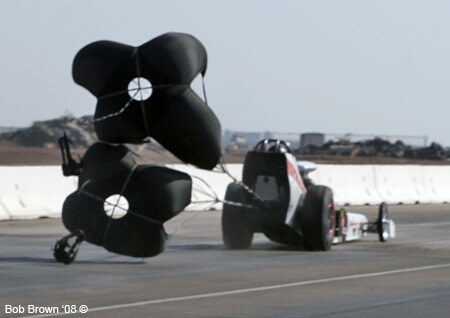 Sounding every bit as good as it did on Saturday, Green launched hard. 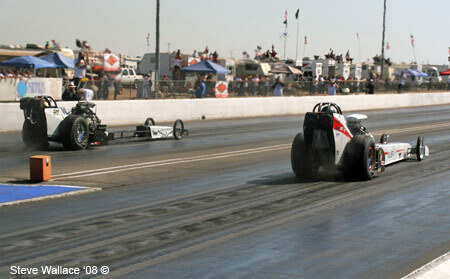 With the center of the tires "chunking" out Green legged it to yet another great time. 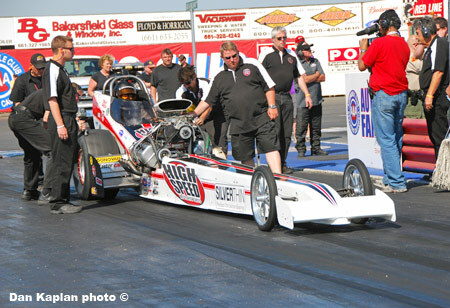 Not hurting any parts, the car was about as consistent as could be. 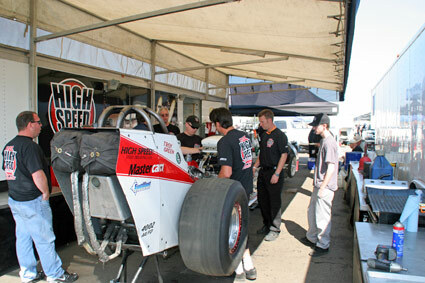 Back to the pit to get ready for the next round. 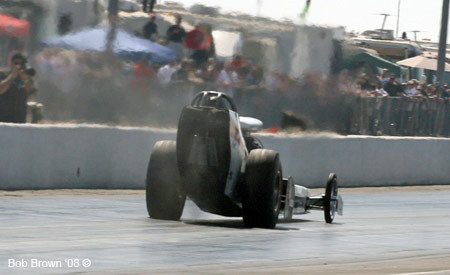 2:22 p.m. Sunday: Still under sunny skies and ideal track conditions round two hit the track. 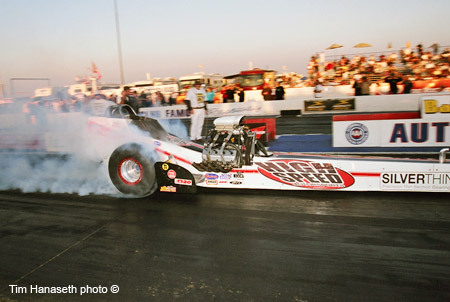 Paired with another driver who was having a good weekend (Denver Schutz who ran 5.750 in round one for lane choice) Green rolls through the waterbox to start his burnout. 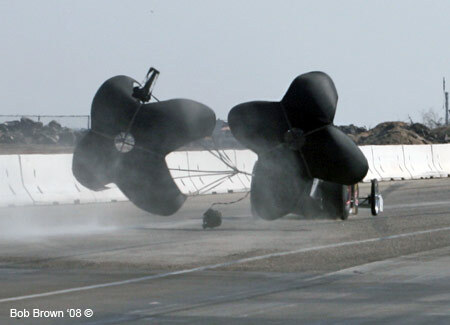 While the crew wipes the tires, Johansen makes the final adjustments to the engine. 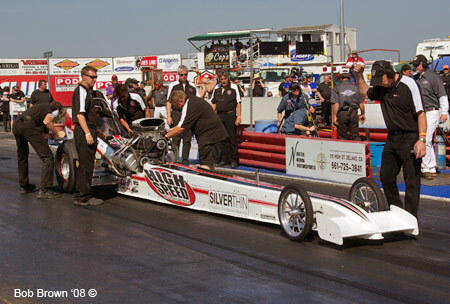 Tom Shelar brings Green to the first pre-stage light. 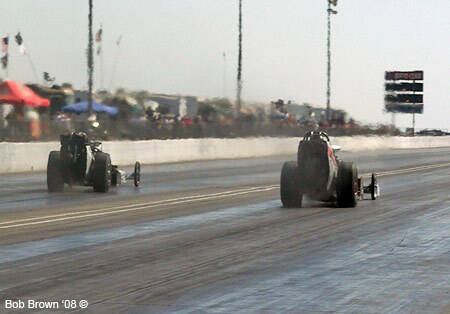 Schutz got a starting line advantage leaving Green to play catch-up. 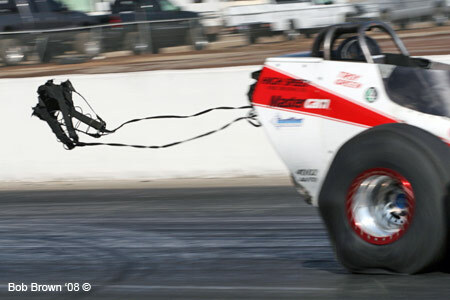 Green was willing but the blower belt wasn't... it broke at the 900 foot mark leaving Big White dead in the water. 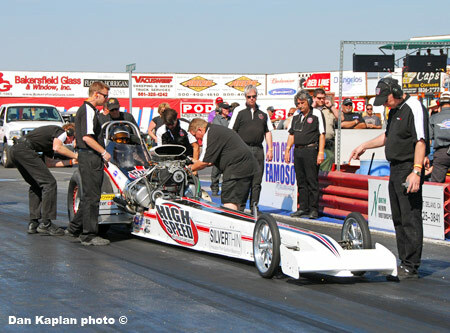 All Green could do was watch Schutz clock a sterling 5.775 at 258.69 while he coasted through with a 5.954 at just 213.42. 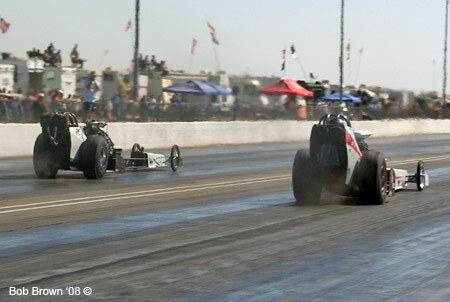 Greens numbers prior to the belt failure suggest he would have run a low 5.7 which would have made for a great drag race. 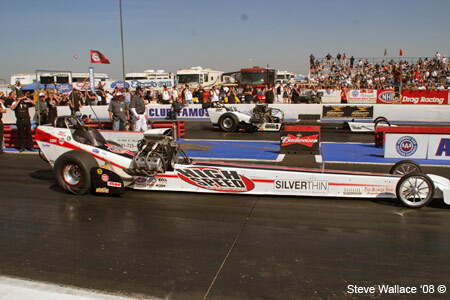 The looks on the faces of Shelar and Stevens sum it up. 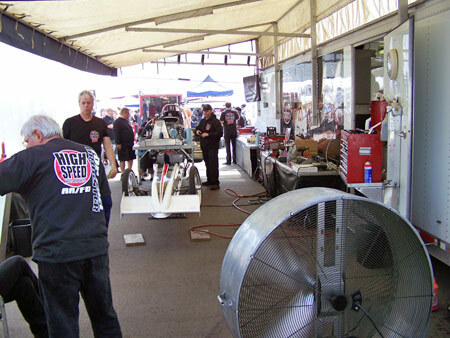 The one thing nobody can foresee is parts failures but all in all it was a great weekend and the entire crew was pleased with their performance. 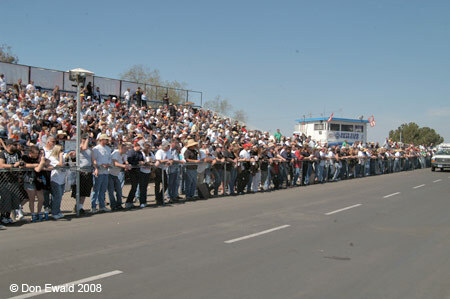 They also know they're going to be in the thick of the 2008 points chase.